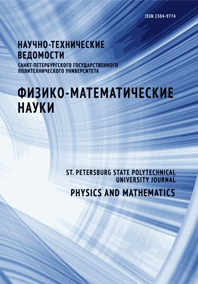 Zheleznyak Alexander G. Sidorov Valery G.
A new method for nondestructive testing of the optical properties of various materials (semiconductors, dielectrics and metals) has been presented. It is based on the determination of geometric and optical inhomogeneities of the objects using the measurement data on the objects characteristics of the light scattered by them. It has been proposed to use a flatbed scanner as a physical device for measuring the scattered light. An analysis of the method possibilities showed that it is possible to measure the roughness and surface curvature, identify single defects on the surface, to measure the electrophysical parameters of materials being transparent in the visible region of the spectrum by means of the scanner. The method is simple to implement, it is on par with the accuracy of measurements made with many specialized physical devices, it is superior to the expensive equipment in a body of on-line information, it makes testing material properties under production conditions possible.